On 21 February, Chief Investigator KyL Cobb participated with another team in an investigation of the City Hotel. The history research for this location was created to prepare for this investigation. Moon River Brewing Company is located in the former City Hotel. 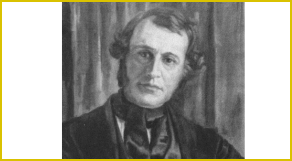 Eleazer Early, a native of Charleston, South Carolina, built the City Hotel as Savannah’s first hotel in 1821. Early was born in Wilkes County, Georgia in the first half of 1779. By 1803, Early began purchasing land throughout southeast Georgia. From at least 1806 until 1809, Early was Savannah’s comptroller-general (or possibly the state’s in Savannah). By 1817, Early was elected as the cashier of the United States Bank of Discounts and Deposits and held the position until March 1819. In 1817, Eleazer and his wife Jane purchased the lot that the City Hotel would be built upon. 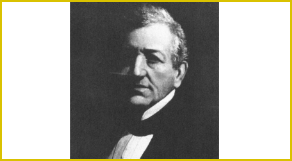 Upon deciding to build a hotel, in 1819 Early secured a $9000 loan from Hampdew McIntosh. Designed by renowned architect William Jay in 1819, construction proceeded slowly because of a number of fines from the city including one in June 1819 for obstructing Bay Street with building materials. On 11 January 1820 the great fire of Savannah destroyed 94 lots, 400-500 buildings and damaged the under construction hotel. After the fire, Jane transferred the property into her husband’s name. The building that would become the City Hotel started serving as the first branch of the United States Post Office in Savannah with Early acting as the US post master for Savannah from in 1820 until 1823. In addition to the post office, in 1820, the building also temporarily housed the branch of the Bank of the United States inside while the permanent building for the Bank was being built on Drayton Street. In order to complete the building in 1821, Early required the infusion of another $20,000 from the mortgage of his wife’s Darby Ward property to the Bank of Darien. Once construction was completed, Early leased the building to Orran Byrd for $4000 per year. It was Byrd who actually opened and managed the hotel. For Early and Byrd, the hotel marked the start of prosperity followed by failure. In February 1822, Early was granted by the South Carolina Legislature permission to run a passenger stage north of the river between Hamburg, SC and north of Savannah. 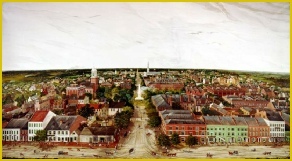 By March the stage company had won the contract for the mail between Savannah and Augusta. The expansion of the passenger service between Augusta and Savannah in November 1823, stretched Early to the financial breaking point. Byrd took the initial success of the City Hotel as a statement to his skill with hotels and opened a second hotel on Tybee Island in 1822. As a result of its failure, Byrd could not pay his lease on the City Hotel. In January 1825, Early’s now former business partner in the stage coach company, Joseph Thompson, forced Early into bankruptcy and the sale of the hotel with all its furnishing was advertised by the Sheriff. The deed for the building was forfeited the property to the Bank of Darien. Near failure of the Bank of Darien saw the deed transferred to William J. Scott. From 1826 until his death in 1827, the City hotel was managed by John Miller of Augusta. Following his death his wife assumed control of the business until mid 1829. In October 1828, Captain Henry W. Lubbock purchased the Hotel and closed it for repairs and refurbishing until December 1828. Once the City Hotel had reopened, it briefly enjoyed capacity crowds (especially at St. Patrick’s Day). While Lubbock was successful running the hotel, Scott suffered financial collapse and the City Hotel was sold at auction. Even after the sale, Lubbock ran the hotel until 1830 when Silas Hollis took over management. In January 1833, Peter Wiltberger, founder of the Bonaventure cemetery, assumed control of the City Hotel. 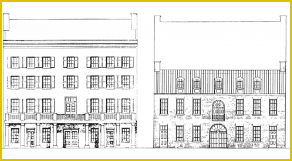 At the time Wiltberger bought the City Hotel, it and the Mansion House (purchased by Wiltberger in November 1836) were the only two hotels in Savannah. As part of Wiltberger’s commitment to the City Hotel, not only did he advertise the hotel in in all the major city along the east coast but he also renovated the building. As part of the promotion effort, Wiltberger put a live lion and lioness on display to draw attention to his business. For a short time the City Hotel became known as the hotel for the rich and famous. When Wiltberger built the Pulaski House on the northwest corner of Bull Street, Wiltberger moved his headquarters away from the City Hotel and into the Pulaski. In October 1841 Wiltberger announced that he would close the City Hotel on 1 November 1841. After being closed for only a month, the City Hotel was while still owned by Wiltberger reopened by John McMahon in December 1841. In the early 18502, James B. Foley purchased the business and is credited with keeping the City Hotel open through the 1854 yellow fever epidemic. 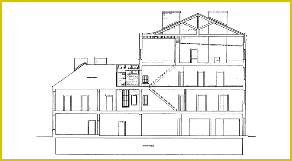 In 1857, Foley was hired away by the new top hotel in Savannah the Screven House. Jackson Barnes of Macon and Edward Murphy took over the City Hotel. By the start of the Civil War, the well run City Hotel was no longer the upscale hotel from its glory days. 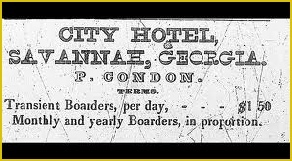 In 1861, Augustus Bonaud became the last manager of the City Hotel. While the hotel had lost the glory of the early days, it still remained a local favorite. The City Hotel's final guest checked out on 9 December 1864, just before the arrival of General Tecumseh Sherman during the Civil War and the subsequent closing of the City Hotel. In October 1865 the vacant building had the portico removed and the bottom two floors were renovated into store. During August and September 1876, the building served as a hospital during Savannah’s yellow fever outbreak. Hundreds of people, mostly children, reportedly died on the upper floors of the building during these outbreaks. In total 1066 died across the city. In 1898, the building was used as a lumber and coal warehouse run by Kayton & Herman, A. Haas & Brothers and the Smith brothers. As the use of coal slowly died off, the building was used for general storage. On 1 September 1951,Thomas Gamble purchased the property and opened his Review Company. In the 1960s, the space was renovated as an office supply store, complete with a large printing press. Hurricane David forced this business to close in 1979 when it blew the roof off the structure. In 1985 the building was recognized by the Historic American Building Survey. The building sat empty until 1995 when The Oglethorpe Brewery was opened at the site an attempted renovations and made the establishment a brew pub. Moon River Brewing Company opened to the public in 1999 on the site. Its current owners are Gene Beeco and John Pinkerton. The building is alleged to be haunted, is a feature of local guided tours, and claimed by staff members to be a site of hauntings and poltergeist activity. In 2005, the brewery was featured in the Ghost Hunters Halloween special, and in 2009 on Travel Channel's paranormal television series Ghost Adventures. In the spring of 1832, Dr. Philip Minis and James Jones Stark argued over a game of quoits (similar to horseshoes) at Luddington’s Bar. Stark bellies up to the bar and declares that Minis wasn't worth the shot and powder it would take to kill the man. Minis dismisses this as the ranting of a sore loser, and it should have ended there. Stark continues his rant throughout the spring and into summer. In May, Stark and Minis has an encounter at the Horsetrack on Savannah’s West side. Minis consults with friends about what to name his horse. James Stark, passing nearby declares: “Name him Shylock,” referring to the infamous Jewish money lender in Shakespeare’s Merchant of Venice. At Luddington’s Bar, Stark is drunk and is overheard calling Minis “a damned Israelite. He’s not worth the powder and lead to kill him.” Even darker language prevails. Word gets back to Minis who is angered, though he considers the source and lets the matter simmer until mid-summer when again a drunken Stark is found in public speaking against Minis and calling him "a damned Jew who ought to be pissed upon." Minis writes a letter to Stark asking for a formal apology. Stark apologizes. The friends of Dr. Minis, among them Dr. Richard Arnold, who would later become mayor of Savannah during the War Between the States, encourages Minis to take action. Letting Stark continue his hateful tirade eroded not only the honor of the good doctor, but his Jewish ancestry itself especially since the Minis family were among the first Jewish settlers in Georgia. Minis takes action. On August 9th, 1832, Minis challenges Stark to a duel. The letter is delivered by his second, Charles Spalding. Stark accepts the challenge. 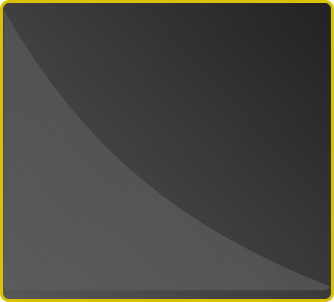 According to the Code Duello, the challenged could pick the time, place, and choice of weapons, and the challenger could modify the terms until a mutual agreement was reached. Since dueling was illegal in Georgia, Stark chooses to meet at Screven's Ferry, South Carolina a grassy plain across the Savannah River. He sets the time for 5 p.m. that afternoon. His choice of weapons? Rifles. Minis finds Stark's challenge ridiculous. Rifles are clumsy and awkward. Besides, his rifle was being repaired. Minis asks whether Stark would consider using pistols instead, requesting also that the duel be postponed until the following day. Ignoring Minis request, the fiery and impulsive Stark rows over to Screven's Ferry along with his second, Thomas Wayne. At 5 pm, Stark and Wayne fire symbolic volleys into the air. Stark declares victory. Dr. Minis hopes to put away the day with a round at the City Hotel. He walks along Bull Street, in the company of Dr. Arnold and Mr. Spalding. At the corner of Bull and Bay, they run headlong into Wayne and Stark. Stark, spoiling for a fight, reaches for a knife, but Wayne quickly pulls him away from the crowd. Arnold and Spalding usher Minis away from Stark, who shouts "let me whip the damned rascal!" Early the next day, the Anti-Dueling Association had sent letters to both Minis and Stark through their known seconds, Spalding and Wayne, offering arbitration. Stark, in the company of Wayne, was apparently composing his reply to the Association when Mann interrupted him. Ironically, the letter for Minis was not delivered to the Spalding residence until just after Spalding departed for the City Hotel. Stark quickly reaches into his pocket as if to draw a pistol and advances toward Minis and draws the object from his pocket. Minis draws his own gun and fires at point blank range. The ball propels through the upper part of Stark’s thorax, exits through his spine, and lodges into the side of the barroom door. Stark falls backwards. He is dead as he hits the floor. Nearby witnesses rush Minis. They scuffle for the gun. Minis — his hat off, hair disheveled, is pushed about. He still holds his gun and threatens: “I’ll fire at you!” The pistol holds them off. “You must give up the pistol!” declares Dr. Richard Arnold, a close friend of Minis. Minis pauses, slowly gives the gun to Spalding, who gives it to Arnold. “You better come away,” Arnold says. Minis in the company of Arnold walks out of the hotel and down to the City Exchange building at Bull and Bay. “Get in my carriage,” Arnold says. Minis steps in and the driver whisks him away to the Minis offices “a few doors west of Christ Church off Johnson Square. Arnold walks the Square. A report goes out that Stark was unarmed. A great crowd gathers in the Square. No pistol, the report says, was found on Stark or about him. What became of the pistol – if indeed there was one? Three quarters of an hour elapse. Minis waits. The Sheriff arrives at the office of Minis. A coroner’s inquest returns a verdict against Minus of deliberate murder. He is arrested and taken to jail to be tried in January of the following year. Stark is buried the next day with military honors by the Savannah Volunteer Guards of which he was a member. His body is followed to the grave by a large crowd. Minis is arraigned shortly thereafter. His trial was held in January 1833. Superior Court Judge Charles Dougherty had given a "lucid and impartial charge" to the jury. After a two-hour deliberation, the jury acquits Minis, who would go on to be a talented surgeon and father. Minis was declared innocent by the jury, and he went on to become a US Army surgeon, fathered 7 children and lived until 1855. In the summer of 1835 James I. Morrison of South Carolina and Samuel Stiles of Savannah began arguing over the affections of several Yankee girls employed at the Broughton Street confectionary. The argument spilled over into the City Hotel where Morrison confronted Stiles in “insulting language.” On 7 July 1835, the duel commenced and stiles was fatally wounded. Sometime around 1856, two men argued inside the City Hotel. As a result of the argument a duel was challenged. In accepting the duel, the challenged man, because of his poor eye sight insisted that the duel be held at a table in the hotel. It appears this duel was defused prior to the shooting beginning. Drawing of the phases of the City Hotel.